CINCINNATI (AP) — They face the rocks, away from the water, backs toward their viewers, these Kings. Their aloof posture, slightly back on their heels, bills raised just a touch, elicit finger-pointing and ooohs and aahhs from observers at Cincinnati Zoo and Botanical Garden. Actually, they’re just doing what they’d do in a natural habitat, facing away from the water (possibly because water brings with it wind), keeping their bodies just warm enough by tipping slightly back to minimize their webbed footprint on the icy land. We love these penguins, especially in winter. 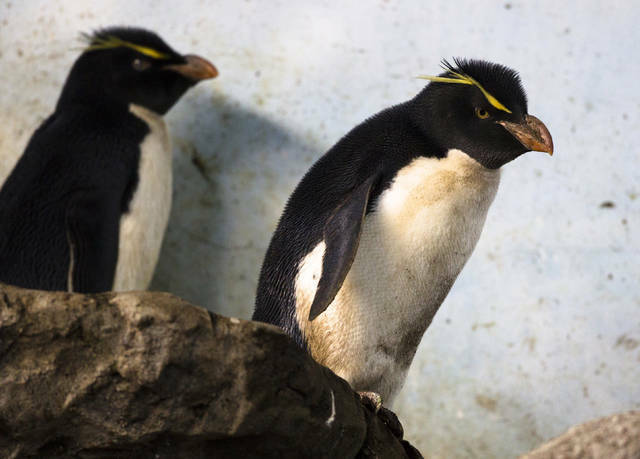 And at the zoo, there are also those grumpy-looking Rockhoppers and the black-and-white banded Magellanic penguins to see. They’re on exhibit in the Wings of the World, even though they do not fly. It’s a cool 40-something degrees where these penguin species stay, and once January and February come, some of them will be proudly marching (ok, waddling) outside for penguin parades. But wait. Didn’t we just see penguins when it was 80-plus degrees outside here at the Cincinnati Zoo? And if so, why? And where are they now? 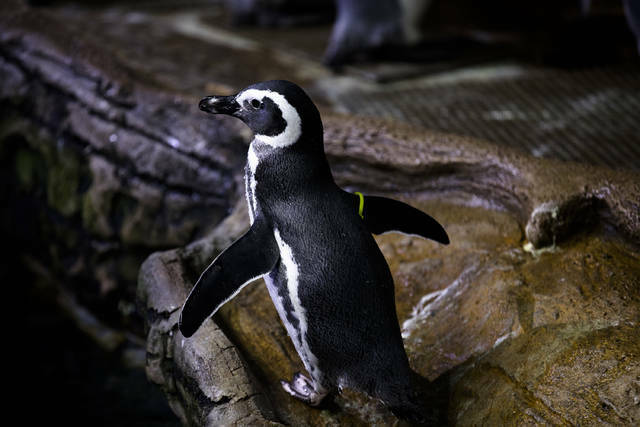 The Cincinnati Zoo has five penguin species, and two of them are warm-weather varieties. In fact, most penguins (both at the zoo and in the Southern Hemisphere) are warm-climate birds that would have to bundle up if they were to be required to venture outside at this time of year. 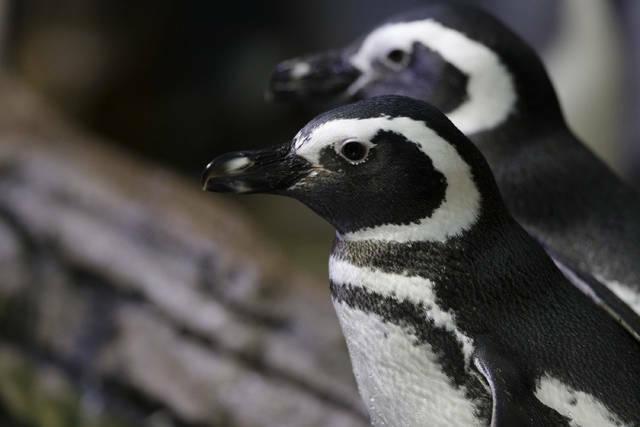 Instead, the zoo keeps these birds — Little Blue and African penguins — snuggled away from the crowds and the cold for now. All of them have feathers that overlap like shingles, Sowers says, to keep them dry enough despite their fishing and swimming. “It’s like a penguin dry suit,” he says. The Cincinnati Zoo has the largest colony of Little Blue penguins (also known as Fairy penguins) in North America, at about 30, Sowers says. For now, they’re tucked away for the winter, with researchers observing their swimming patterns. Speaking of swimming, we should talk about how they keep safe while doing so. A penguin’s tuxedo look — which people adore — has nothing to do with style. It is counter-shading camouflage. Penguins’ white belly is camo for sea creatures looking up at them from underwater and spying on what appears to be a white sky above them. The sleek black back of the penguin is camo for predators looking down at them while they’re swimming in the dark-shadowy ocean. You, of course, will see penguins quite clearly if you venture into Wings of the World and head for their polar exhibit these next few months. The view is available until 5 p.m. each day.